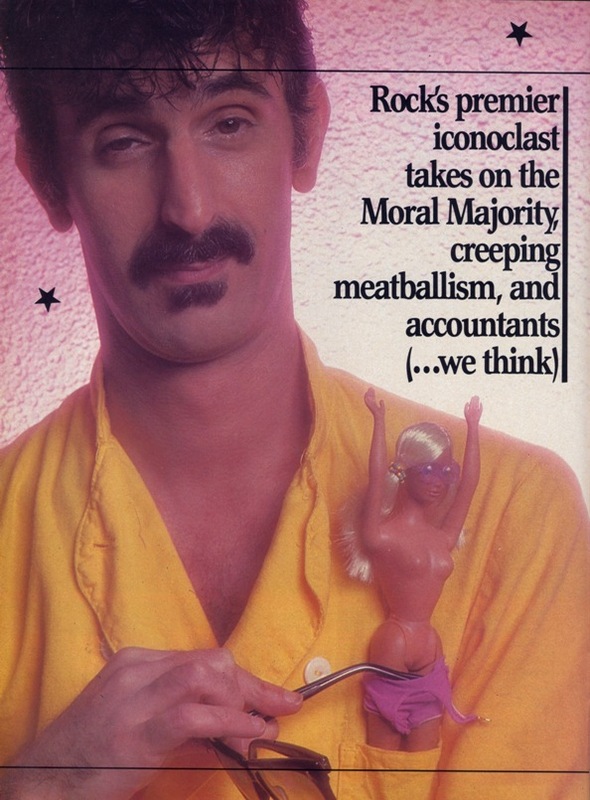 Just finished reading "Zappa the Hard Way" by Andrew Greenaway, detailing the derailed '88 Broadway the Hardway tour, which puts a great deal of meat on the tale's of the bands behaviour, and Franks attitude to it all. Some of the players don't come out of it too well, Scott Thunes comes across as pretty belligerent, but you can't help but feel that FZ's health issues were also a factor around this time. I'd be interested on anyone's thoughts about the whole situation, who comes out well in your take on it and who doesn't? Is the cover shot on the paperback edition from 1988? Yes, Thunes comes off as a very difficult person and someone lacking the social/leadership skills for the position Frank put him in. Frank's health could have been a factor too. Thunes is obviously a very smart guy too and pretty funny when seen in the right light. If you want to research this topic further there is another pretty lengthy thread on this forum somewhere about this book. Also find a book called "In Cold Sweat: Interviews with Really Scary Musicians" by Thomas Wictor. There is a whole chapter devoted to Scott and the '88 tour - good stuff! Also Mike Keneally kept diaries from the tour that he used to have on his website that are pretty revealing. You can also look for Bryan Beller's diaries (they used to be on Bryan's website) from when he took over for Scott when Dweezil fired him from Z. I haven't seen this stuff in quite a few years so you'll have to do the searching unless somebody else wants to post some links. Reading some recent interviews he seems to have mellowed out some in his older age and is enjoying his time as a Dad, husband, and bass player for the Mother Hips. Thunes is a very interesting, complicated, and talented feller! Also Mike Keneally kept diaries from the tour that he used to have on his website that are pretty revealing. Keneally's 88 diaries are still on his site.